Objects are files that are uploaded into DreamObjects. Click the View Objects button under your username. 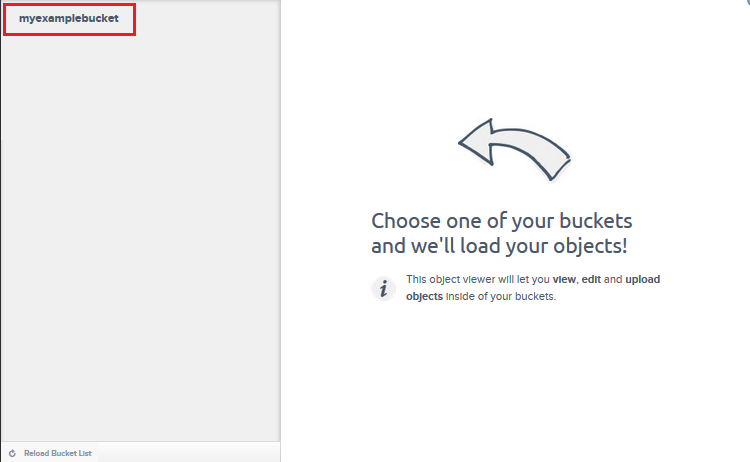 After you click the button, the Object Viewer loads a list of your buckets. Click the bucket name in the left panel. This lists your folders and objects within that bucket, and also shows four control buttons at the bottom. You can also use third-party applications to connect to DreamObjects and view or upload objects. You can create Objects by using a compatible file transfer application. Click the object you wish to download. Click the Download Object button in the Object Properties box. A pop-up box appears allowing you to download the object. You can also link anyone the URL of the object so they may download it themselves. Click the object you wish to delete. Click the ‘Remove Object’ link in the Object Properties box. Click the Remove button on the pop-up box to delete the object.